Atty. 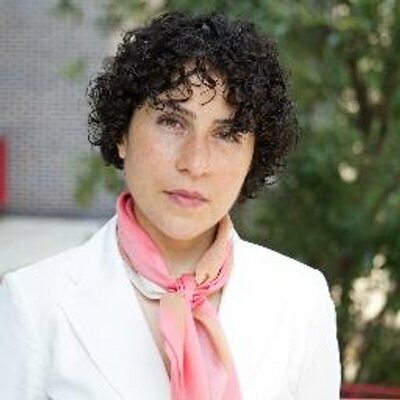 Azadeh N. Shahshahani is a prominent human rights attorney and advocate based in Atlanta. Atty. Shahshahani has worked for a number of years in North Carolina and Georgia to protect the human rights of immigrants and Muslim, Middle Eastern, and South Asian communities. She is the author or editor of several human rights reports, including a 2012 comprehensive report titled: “Prisoners of Profits: Immigrants and Detention in Georgia.” Her work has been covered by the New York Times,Democracy Now!, BBC, the Inter Press Service, and the Atlanta Journal Constitution, among other outlets. She writes frequently for various journals such as the Atlanta Journal-Constitution, the Huffington Post, Aljazeera, Truthout, and JURIST on a range of issues pertaining to immigrants’ rights and national security as well as foreign policy. Her recent articles have been featured in the Nation and Women’s eNews. Atty. Shahshahani is the recipient of the American Immigration Lawyers Association 2012 Advocacy Award and the University of Georgia Law School 2009 Equal Justice Foundation Public Interest Practitioner Award. She has also been recognized as one of 100 Influential Georgia Muslims. Previously she has also served as National Security/Immigrants’ Rights Project Director for the ACLU of Georgia. Atty. Camilo Pérez-Bustillo has U.S and Colombian nationality and is a Research Associate affiliated with FLACSO (Facultad Latinoamericana de Ciencias Sociales) in Guatemala: from 2013-16 he is based as a Visiting Professor with the Departments of Government and Criminal Justice at New Mexico State University in Las Cruces, where he coordinates the Border Human Rights Documentation Project. He is also a member of the Permanent Seminar on Chicano and Border Studies at the Social Anthropology Division (DEAS) of Mexico´s National Institute of Anthropology and History (INAH). 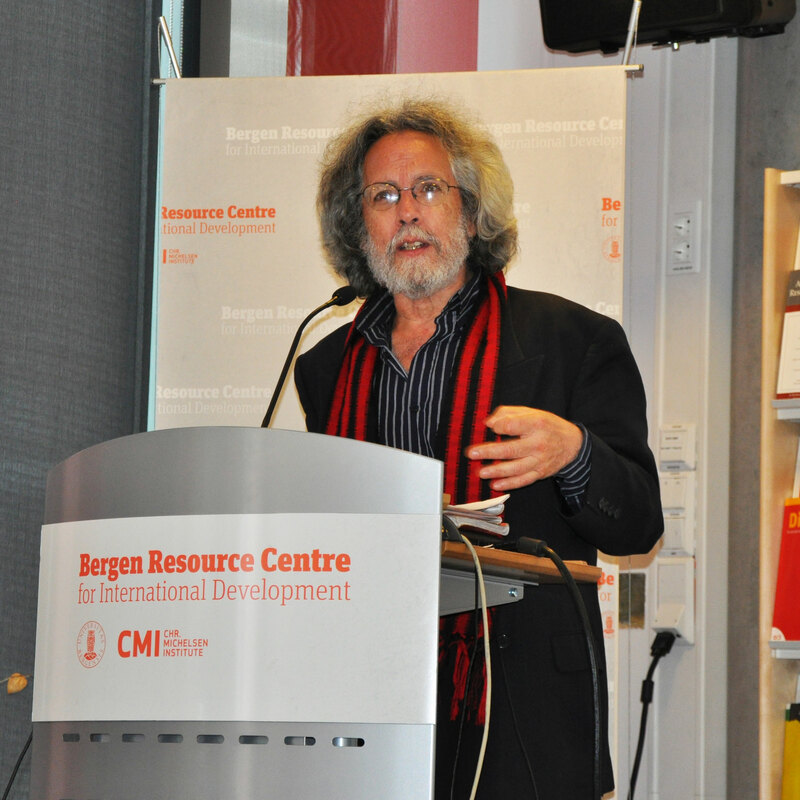 He is co-author with Karla Hernández Mares of the book Human Rights, Hegemony, and Utopia in Latin America: Poverty, Forced Migration, and Resistance in Mexico and Colombia (forthcoming from Brill/Haymarket 2016). Since August 2010 he has been coordinator of the Permanent Secretariat of the International Tribunal of Conscience of Peoples in Movement (ITCPM), based in Mexico City. Atty. Pérez-Bustillo graduated with a Juris Doctor (J.D.) degree from Northeastern University Law School, Boston, Massachusetts, in May 1981, was co-founder and co-director of Multicultural Education, Training and Advocacy (META), Inc. a human rights NGO in the U.S. from 1982 to 1993, was the first person of Latin American origin appointed to the W. Haywood Burns Memorial Chair for Civil Rights Law (a 1 year endowed appointment) at the City University of New York (CUNY) Law School during 2002-2003, and served as Director of Immigrant and Refugee Rights at the American Friends Service Committee (AFSC) in Philadelphia from 2003 to 2005. 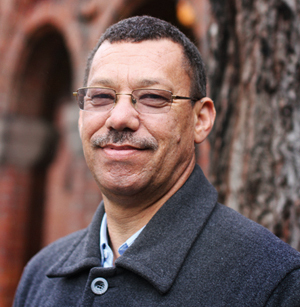 Reverend Malcolm Damon is a founder member of the Economic Justice Network (EJN), which was formed in 1997 in Zimbabwe to serve the Fellowship of Christian Councils in Southern Africa on economic justice issues. He joined EJN in 2001 and as Executive Director takes overall responsibility for the organization’s work. He serves (ex-officio) on the Steering Committee of EJN and works closely with its members and the General Secretaries of FOCCISA. 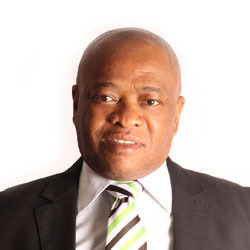 Reverend Damon studied theology at the University of the Western Cape and obtained a M.Th from the university, specialising in economic justice. In 1994 he gained a M.Th from Princeton Theological Seminary (USA), with courses in Medical Ethics, Ethics and Economic Life and Social Ethics. He is passionate about the role and responsibility of the Church in economic, social, political and environmental justice. He serves as Chairperson of the Food Strategy Group of the Ecumenical Advocacy Alliance (EAA), is a member of the Ecological Debt Working Group of the World Council of Churches (WCC), and an executive member of Industrial Ministry of the Reformed Church family in South Africa. Prof. Pao-yu Ching is professor emerita of economics at Marygrove College, Detroit, Michigan, United States. She was born in Beijing, China and grew up in Taiwan. She received a Ph.D in economics from Bryn Mawr College in Pennsylvania. In addition to teaching, she specialized in the study of China and the Chinese economy and has been active in the anti-imperialist movement. 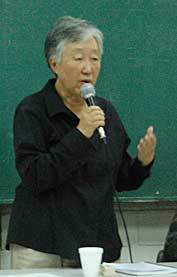 In 2003, Pao-yu Ching retired from teaching and moved to Taiwan, where she completed and published Globalization and Crisis of Capitalism (in Chinese) in May 2005. She returned to Detroit in 2007 and moved to California in 2013 and currently continues her work in writing and lecturing. 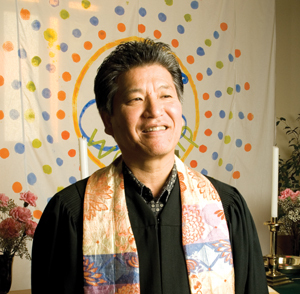 Reverend Michael Yoshii has served as pastor of the Buena Vista United Methodist Church in Alameda, California since 1988. Buena Vista UMC was founded as an outreach ministry in 1898 to the Japanese immigrant community and now serves a pan-Asian and multicultural population in the Bay region. During his tenure, Buena Vista UMC has been a voice for social justice in the areas of diversity and equity; affordable housing, LGBTQ equality; and most recently solidarity with Palestinian people through a partnership with the West Bank village of Wadi Foquin, and emerging ministry advocating for immigrant/migrant rights. Rev. Yoshii has received recognition through the Distinguished Alumni Award from the Pacific School of Religion (2002), Koshland Civic Unity Award from the San Francisco Foundation (2002), the National Education Association Human & Civil Rights Award (2004) and the Bishop Melvin Talbert Racial Justice Award from the California Nevada United Methodist Church (2005). The Mayor of the City of Alameda proclaimed October 16, 2004 as Michael Yoshii Day in honor of his years of commitment to the cause of human rights. Beyond the local congregation, Rev. Yoshii served as Co-Chair the Philippine Solidarity Task Force for the California Nevada Annual Conference of the United Methodist Church from 2007-2013 and has led Pastoral Solidarity visits to the Philippines. Rev. Yoshii served on the Board of Directors for the General Board of Global Ministries of the United Methodist Church from 2008-2012 and currently serves on the Board of the National Community Developer Program of the United Methodist Church. He is current Chair of the Advocacy & Justice Committee for the California Nevada Annual Conference of the United Methodist Church. He also serves as the Co-Chair of United Methodist Kairos Reponse (UMKR) an international grass roots group formed in response to the Kairos Palestine document issued in 2009. Ms. Mary Boyd is an Antigonish native now living in Blooming Point, PEI. She is the founding director of the MacKillop Centre for Social Justice. She is recognized as one of Canada’s outstanding social justice leaders. 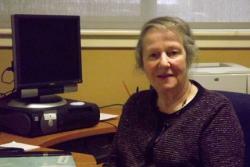 After St Francis Xavier, she taught in Toronto for two years. She spent over six years as a missionary in Eastern Nigeria and Ghana, before moving to PEI, where in 1972 she was appointed the Director of Social Action in the Diocese of Charlottetown, a post she occupied for 22 years. She was the first woman appointed to this position in any Canadian province. She has been the longest-serving member of the executive in the Canadian Catholic Organization for Development and Peace, chairing for a time its National Solidarity Committee and its Program Committee for Africa. Undeterred by the closure of the Social Action Committee in 1994, she founded the MacKillop Centre for Social Justice. She has extensive national and international experience and has done much training at the International Centre for the Development of People in Paris. She has returned to Africa on fact-finding missions, and her contributions benefiting humanity span two continents and over 40 years. Mary Boyd was recently named a Member of the Order of Canada for her contributions to the social justice movement, notably by introducing community-based initiatives to fight homelessness, poverty and underemployment. The Order of Canada is one of the country’s highest civilian honours. It was established in 1967, during Canada’s centennial year, to recognize a lifetime of outstanding achievement, dedication to community and service to the nation. 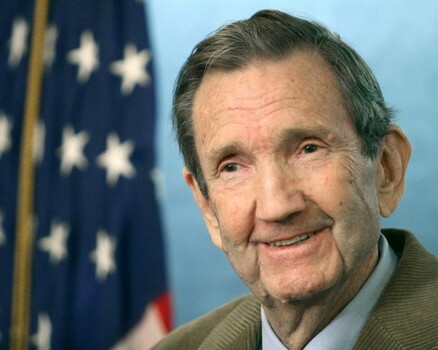 Ramsey Clark is an American lawyer, activist and former federal government official, who occupied senior positions in the United States Department of Justice under Presidents John F. Kennedy and Lyndon B. Johnson, notably serving as United States Attorney General from 1967 to 1969; previously he was Deputy Attorney General from 1965 to 1967 and Assistant Attorney General from 1961 to 1965.